Champion of suburbia: Gough Whitlam campaigning in Cabramatta in 1972. It is a sad fact that there are few champions of those people who live in the suburbs. Yet those who speak for the inner city elites are a dime a dozen. Take any forum you like, from the ABC’s Q&A to Insight on SBS and what you find is that there is never anyone who speaks for the aspirations and dreams of most Australians. It’s as though we who live in the suburbs are invisible. Of course the truth is worse: we are seen by outsiders – by fellow Australians – as a group of materialistic, small minded bigots. Yes, there are bigots out here but the real truth is that there is more diversity in Campbelltown or Penrith than there is in Glebe or South Yarra. Out here we are politically on the right as much as we are on the left, with most of us in the middle. And so it is to the country’s detriment that our views are not given a chance to be heard on such forums. But is it is also to our own detriment that we have not produced enough outspoken champions of the values we espouse. The last great champion of suburban Australian was Gough Whitlam, who became Prime Minister while he and his family lived in Cabramatta, and you couldn’t get more suburban than Cabramatta in the 1960s and 70s. While he believed in social justice and equity, Whitlam’s big push on getting elected in 1972 was to provide basic infrastructrure to the suburbs of Australian, from sewerage to roads. One of Whitlam’s proteges was another suburban boy, Mark Latham, and he almost made it to the Lodge in 2004. These days Latham is freelancing on social media and from time to time sticks up for the millions of Australians who live in the suburbs of our cities. We need champions of the suburbs who will speak for us and tell our stories of achievement. What our stories? Not what you’d see on the TV news, who always get someone from the suburbs when they have a story about a family doing it tough financially, as though there isn’t a single family in St Ives or Cronulla in the same boat. It’s called a stereotype and the dunderheads also known as TV executives haven’t updated ours for several decades. 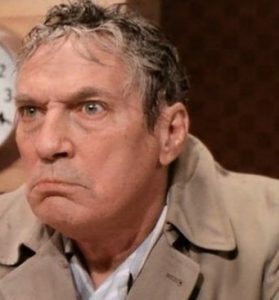 Well, just like Peter Finch in Network, I am as mad as hell and won’t take it anymore.